May the promise in God’s Word be your hope today, your peace tomorrow and your comfort always. My deepest sympathy to the Young families .God is a refuge for us in times of distress. MY DEEPEST CONDOLENCES TO THE FAMILY OF BISHOP MCKINLEY YOUNG. May the promise in God’s Word be your hope today, your peace tomorrow and your comfort always, the Ohio/South Ohio Laymen’s Organization. We are here for what ever you need just call ..
Our deepest condolences to Supervisor Dr. Dorothy Young and family. We are saddened and devastated by the passing of Bishop McKinley Young. It’s been a joyful journey under the leadership of the Youngs. We often admired Bishop and Supervisor and their public display of love and admiration for each other. Please know that you served as a model for us in our Christian leadership journey as a couple. Our hearts are broken to see that chain broken but we know and accept that God makes no mistakes. You are in our prayers for strength and healing and know that we are here for you. We love you. My deepest condolences to the family during this difficult time, rest knowing that precious in the sight of the Lord is the death of one of his saints. I pray the comfort of the Lord over your family. To the Young family. My heart is with you and your family at this time of your loss. There is comfort in knowing God’s promises about the resurrection hope. (Acts 24:1 and (John 5:28,29) In the past God has resurrected humans and He is eager to do it again because He hates death. (Mark 5:41-43) To learn more about God’s promises go to JW.ORG. There are online Bible study lessons featured and more. Love Your Neighbor Irish J. Richardson. I thank God for allowing Bishop McKinley Young to be an inspiration. I thank God for the light he allowed Bishop to shine on the world. …And God SHALL wipe away all tears!!! Love you, God be with you. I’m sending my sincere condolences to the young family and friends. This is one of life’s greatest challenges that we have to face. Jesus said, did, and promised something that gives us comfort and hope. In the Bible at John 11:11-14, Jesus likened death to sleep. This comfort us in two ways: 1) we are assured by those words that our loved ones are not suffering or in pain. 2) If a person is just sleeping, he will wake up! Notice what Jesus does next at John 11:43-44, this is amazing! If you would like to know more details about this, please download a free copy of the brochure Good News from God @ Jw.org and read lesson 6 along with the Bible. Rev Royd Mwandu - 17th Episcopal District. Sad, very sad development in the Young’s and AME Church family worldwide. On behalf of Messiah Temple Downtown Chingola AME Church, Chingola, Copperbelt, Zambia, Africa, we wish to express our sincere heartfelt condolences at the passing of Senior Bishop McKinley Young. May the good Lord be with Mrs Dorothy Jackson Young, children and grandchildren. When we asunder part, it gives us inward pain, but we shall still be joined as one and hope to meet again. It was with great sorrow to hear of the passing of a dear friend and respected brother. Though Bishop he was, it didn’t prohibit our friendship. It is with great joy to know he has “made it home”. A Scholar, Teacher, Christian, and faithful Servant who has truly represented the A.M.E. Church well but more importantly our Lord and Savior Jesus Christ. May the family find solace and comfort to know that there are those who really care and praying God’s Blessing upon you. A great Bishop,Pastor and friend to Rev.& Mrs.Harvey McGruder & family. We extend our love and prayers to Dr.Dorothy Young, the children and grandchildren. 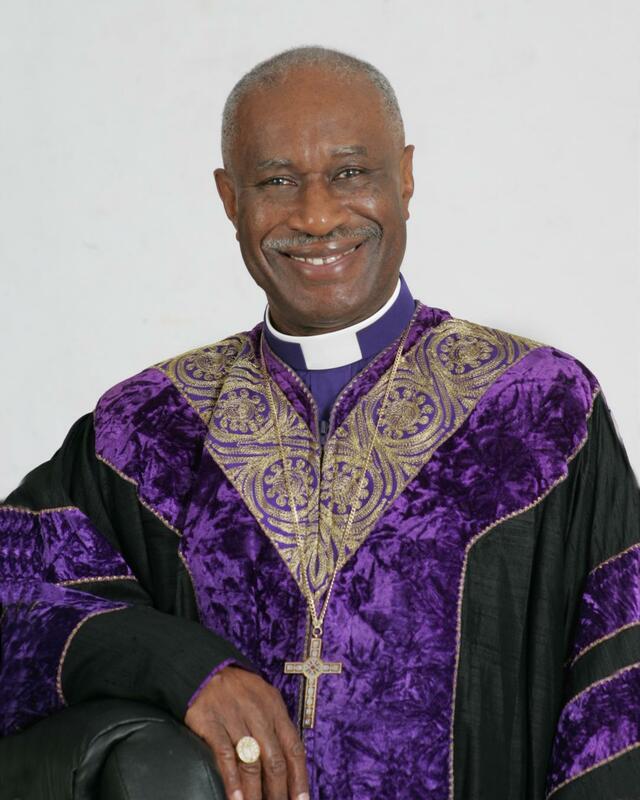 Rest in eternal peace,Bishop Young. We shall never forget you. Praying for your entire family during this most difficult time.